Acrylic and graphite on canvas, 50 1/4 × 50 1/4 in. Acrylic on canvas, 31 × 39 in. Oil on canvas, 28 × 40 in. 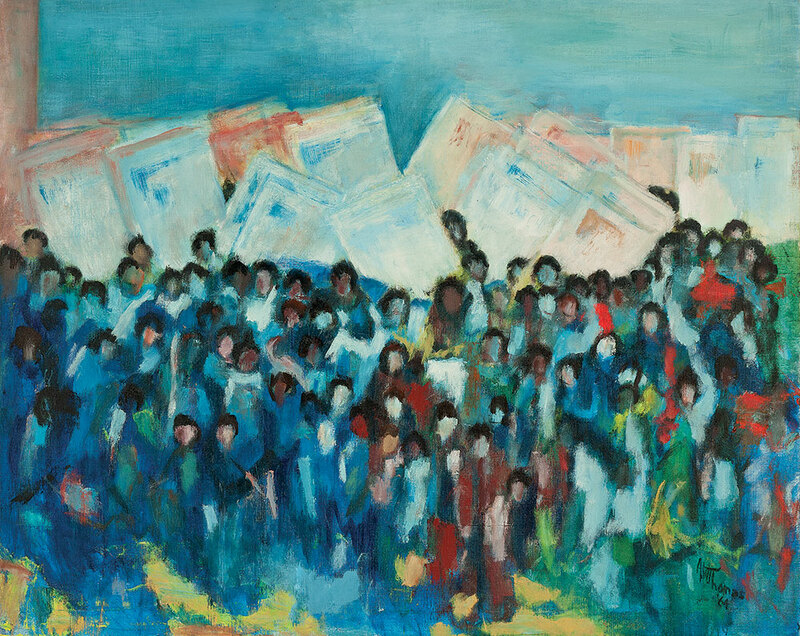 Acrylic on canvas, 69 × 54 in. Acrylic on canvas, 22 × 27 in. 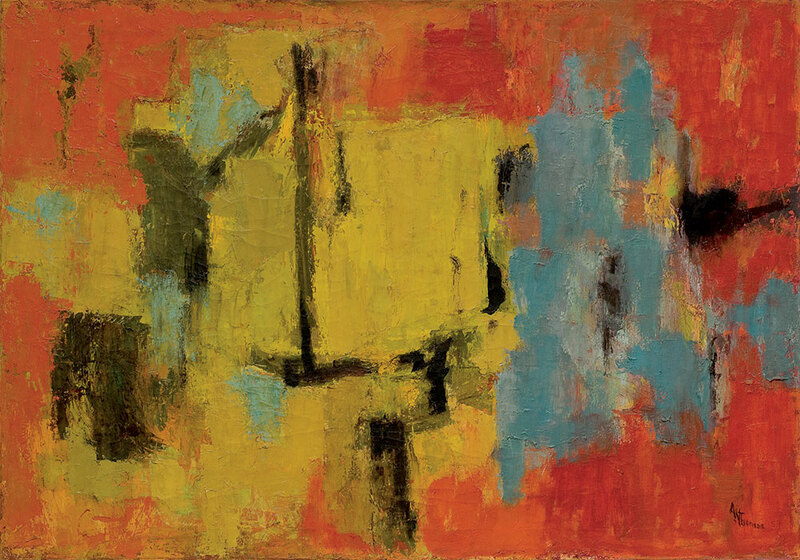 Alma Thomas examines the evolution of an artist who created a highly personal style that expanded upon traditional Abstract Expressionist and Washington Color School practices through experimentations with abstraction, color, line and pattern. Thomas, who focused on her artistic career after retiring as a school teacher at the age of 69, chartered her own course as an African-American woman within Washington D.C.’s largely white and male mid-20th century artistic community. She often cited natural elements as inspiration, and her signature style reflects the influences of Henri Matisse, Josef Albers, and Wassily Kandinsky—featuring loosely painted yet meticulously constructed canvases, filled with lattice works of bright color creating patterns from negative space. The exhibition features works from every period in her career, including rarely exhibited watercolors and early abstractions, as well as her signature canvases drawn from a variety of private and public collections. 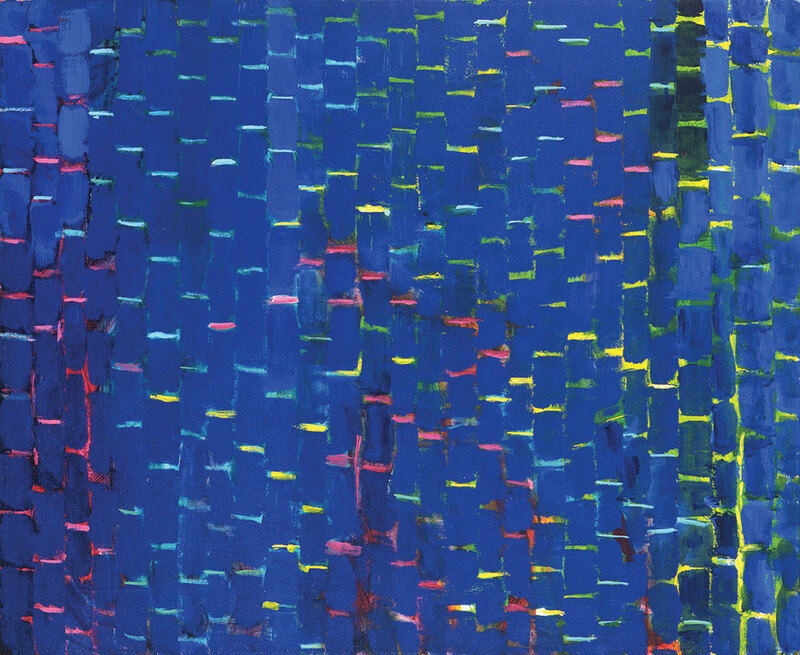 Alma Thomas is organized by the Frances Young Tang Teaching Museum and Art Gallery at Skidmore College and The Studio Museum in Harlem. 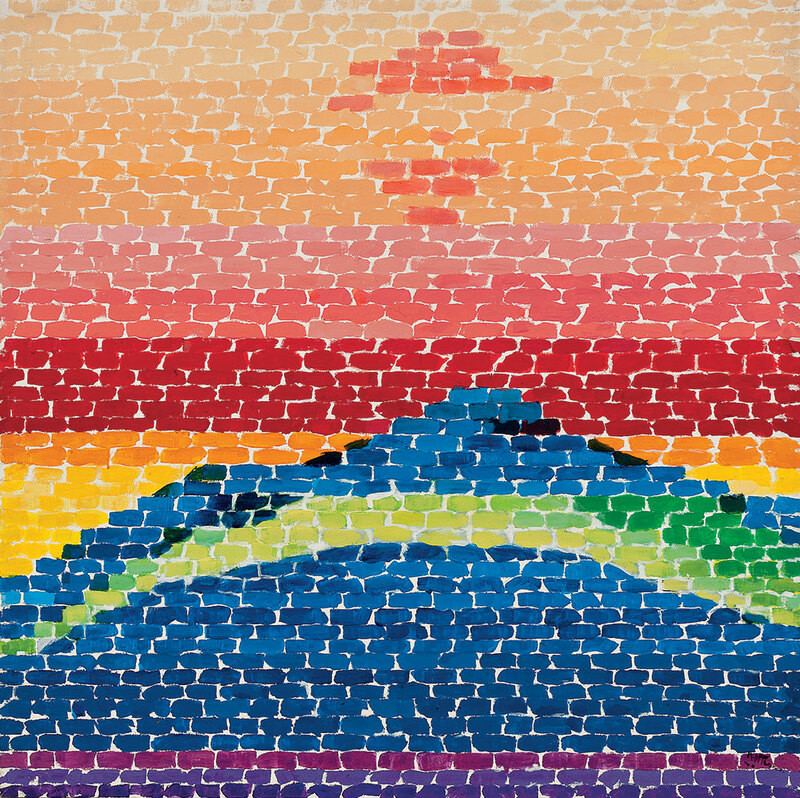 Alma Thomas is curated by Ian Berry, Dayton Director of the Tang Teaching Museum, and Lauren Haynes, Associate Curator, Permanent Collection, at The Studio Museum in Harlem. The exhibition is accompanied by a comprehensive catalogue by Ian Berry and Lauren Haynes, available at the Museum Store and online in December 2016. Filled with vibrant illustrations, this stunning volume traces Thomas’s development as an artist and includes new writings by Bridget R. Cooks, Thelma Golden, Nikki A. Greene and Lauren Haynes, as well as specially commissioned responses by leading artists Leslie Hewitt, Jennie C. Jones, Leslie Wayne, and Saya Woolfalk. As the work of many African-American abstractionists is only recently coming into the spotlight, this important book on Alma Thomas profiles a truly pioneering figure.